Táimid ag céiliúradh seachtain innealtóireachta na hÉireann 2016 ar an Máirt 01/03/16. Beidh cainteoir againn ón gclár STEPS. Beidh sí ag labhairt agus ag déanamh gníomhaíochtaí le ranganna 3-6. We are celebrating Engineers Week on Tuesday 01/03/16. 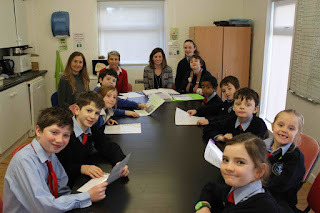 A volunteer from STEPS Ireland is visiting us and she will speak with and do activities with 3rd-6th class. Beidh rang a dó sa séipéal ag cleachtadh (practicing) don Chead Fhaoistin (First Confession) maidin an Déardaoin (3/3/16) agus maidin an Aoine (4/3/16). Beidh ar na tuismitheoirí na páistí a thabhairt chun an séipéal ar maidin ag 8:50rn. (Parents need to drop their children at the church for 8:50am both mornings.) Beimid ag siúl ar ais chuig an scoil tar éis an cleachtadh. Seo eolas maidir le roinnt imeachtaí trí Ghaeilge do Theaghlaigh a bheas ar siúl i rith Seachtain na Gaeilge i gCo Phort Láirge & Co Chorcaí. Scaip an scéal, le bhur dtoil!! Information about Irish language events for families in Co Waterford & Co Cork below. Scéalaíocht & Rannta @ 04/03/16 @ 10.30am sa Leabharlann, Dún Garbhán, Co Phort Láirge le Coiste Cúram Leanaí Iarthar Phort Láirge. Saor in aisce. Scéalaíocht & Rannta @ 09/03/16 @ 10.30am sa Leabharlann, Dún Garbhán, Co Phort Láirge le Coiste Cúram Leanaí Iarthar Phort Láirge & Glór na nGael. Saor in aisce. Lá Surfála & Spraoi @ 12/03/16 @ 11am i Freedom Scoil Surfála sa Trá Mhór, Co Phort Láirge. Comhpháirtíocht idir Glór na nGael & Freedom Scoil Surfála. €20 don cheacht surfála (is gá bheith thar 11 bliana d'aois). €5 do theaghlaigh nach bhfuil ag surfáil. Cur áiteanna don cheacht surfála in áirithe liomsa ar 083-4455914 nó cabrini@glornangael.ie roimh 07/03/16, le do thoil. Lá Ealaíon Ghainimh ar an dTrá @ 12/03/16 sa Trá Mhór, Co Phort Láirge le Freedom Scoil Surfála. Tóg spáid & forc leat ma tá speis agaibh bheith páirteach san imeacht seo. 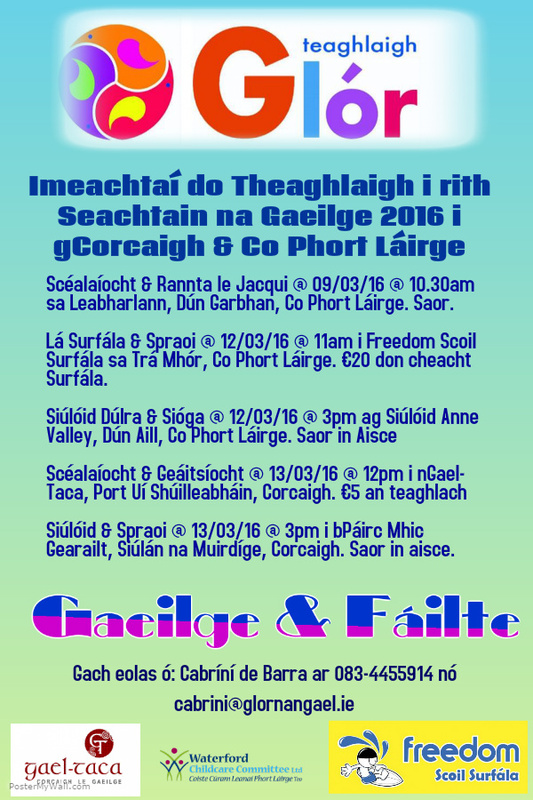 Saor in aisce Siúlóid Dúlra & Sióga @ 12/03/16 @ 3pm ag Siúlóid Anne Valley, Dún Aill, Co Phort Láirge. Saor in aisce. 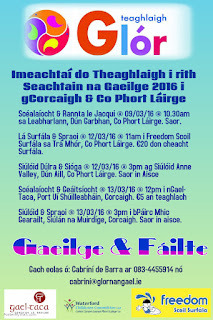 Eagraithe ag Glór na nGael Scéalaíocht agus Geáitsíocht @ 13/03/16 @ 12pm i nGael-Taca, Port Uí Shúilleabháin, Corcaigh. €5 an Teaghlaigh. Comhphairtíocht idir Ghlór na nGael & Gael-Taca. Siúlóid & Spraoi @ 13/03/16 @ 3pm i bPáirc Mhic Gearailt, Siúlán na Muirdíge, Corcaigh. Saor in aisce. Comhphairtíocht idir Ghlór na nGael & Gael-Taca. Bí linn & fáilte. Imeachtaí Gaeilge amháin iad uile seachas an ealaíon ghainimh. Beidh sé sin dá theangach. Comhghairdeas le Rang a 4 agus Múinteoir Ciara, d'éirigh go h-iontach leo sa chéad babhta sa chomórtas drámaíochta agus dul siad ag dul ar aghaidh chun páirt a ghlacadh i bhFéile drámaíochta na Mumhan anois. (They have secured a place in the next round of the competition.) Beidh an comórtas ar siúl i Mainistir Fhear Maí (Fermoy) ar an Aoine 04/03/16. Mo cheol sibh! Seo achoimre ar an nuacht is déanaí sa Ghaelscoil. 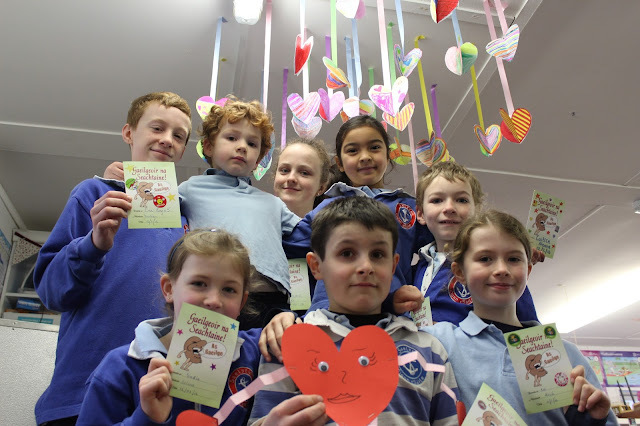 This is a summary of the latest news in the Gaelscoil. 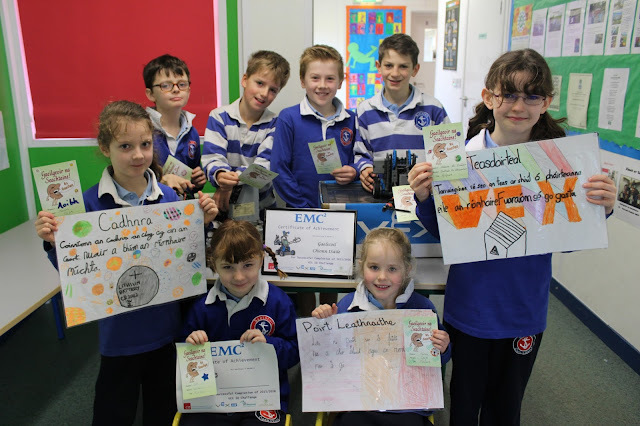 Tá ticéidí crannchuir Spórt na Cathrach faighte ag na 130 páistí is sinne sa scoil inniu 23/02/16, €2 an ceann. Caithfidh an scoil na ticéidí a dhíol chun páirt a ghlacadh sa chomórtas. Seol isteach an €2 agus an stiall le d’ainm air le bhur dtola nó seol thar nais an ticéad iomlán muna theastaíonn uait é a cheannach - chomh luath agus is féidir libh. 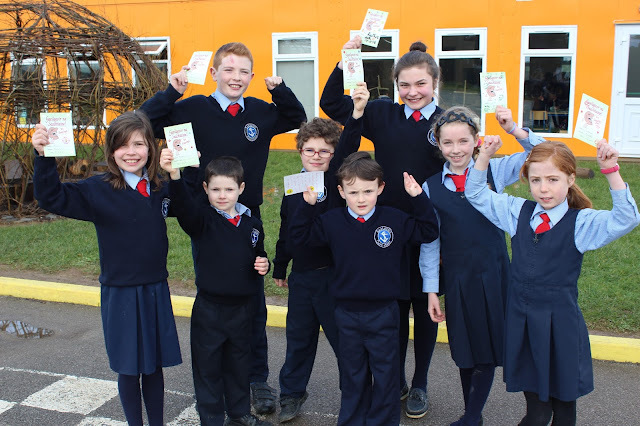 We are giving Cork City Sports raffle tickets to the eldest 130 students in the school today, 23/02/16, €2 each. 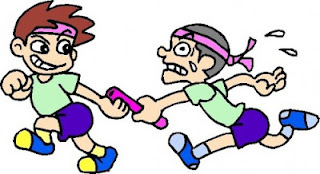 The school has to sell the raffle tickets in order to take part in the competition. Please send in the €2 with the filled out stubs or send back the whole ticket if you do not wish to buy it - as soon as possible. a seomra in úsáid chun fáilte a chur roimh naíonáin nua na bliana seo chugainn. be in use to welcome next year's Junior Infants to the school. 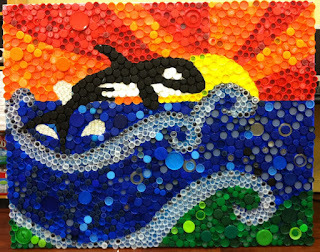 Rang a 3 want to show that reusing is as important as recycling. Múinteoir Eavan agus Múinteoir Caitríona. Beidh rang a 4 ag fanacht tar éis am scoile Dé Luain (22/02/16) chun cleachtadh breiseadh a dhéanamh ar an ndráma. Beidh siad anseo go dtí 3.30 san iarnóin. Go raibh maith agat as ucht bhur tacaíocht. Táimid ag tnúth go mór leis. 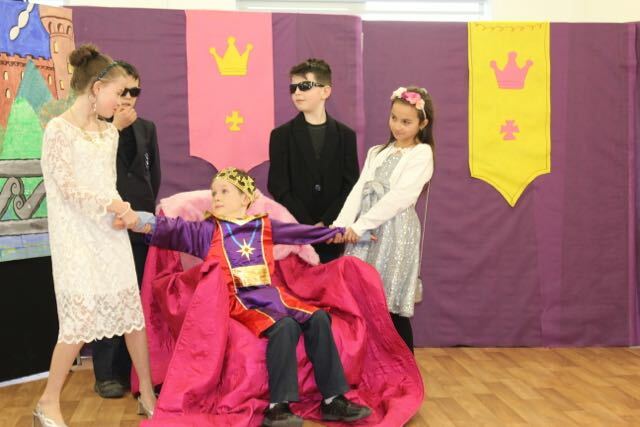 Fourth class will be staying late on Monday (22/02/16) to practice for their upcoming play. They will be here until 3.30 in the afternoon and can be collected then as usual. We thank you for your support and are very much looking forward to putting on a performance for you all soon. Please make sure to label anything you send in. Go raibh míle maith agaibh. Beidh aifreann 'Do This In Memory' ag rang a dó ar an Domhnach 21/2/2016 sa séipéal ag a 10:00rn. Táimid ar thóir an brat glas (bruscar agus drámhaíl)! 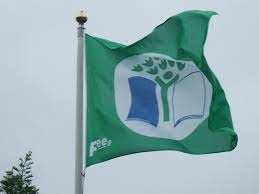 In case you didn't hear.... We are on a mission to be awarded with the Litter and waste green flag. Chumamar amhrán tamaill ó shin chun ár gcód glas a chur in iúl daoibh. Tá sé bunaithe ar chód na scoile, athchúrsáil, athúsáid, laghdú, múirín, gáirdín na scoile srl. 'Sé seo an chéim deireanach don iarratas. We wrote our own song some time ago to explain our 'green code' to you. Its the 7th and final step in the application process. Its all about how we reduce, reuse, recycle, make compost, grow vegetables etc. Lean an nasc seo chun fís a fheiceáil. 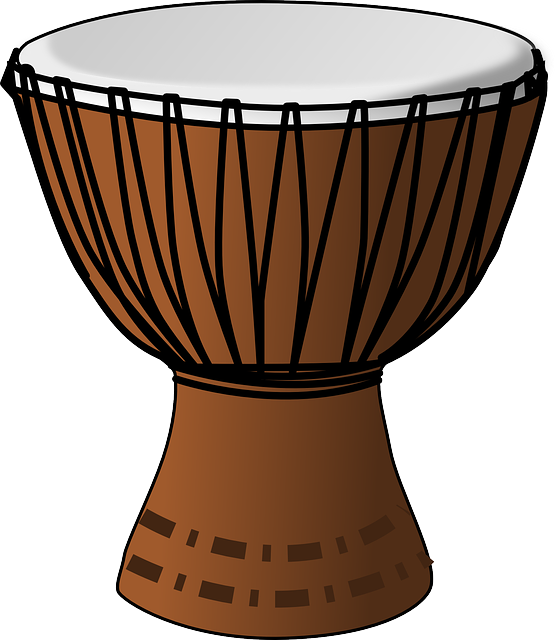 Please click here to view a video of our fantastic singing! An t-aon obair bhaile atá ag Rang a 1-Rang a 6 inniu 16/02/16 ná cuardach sa bhaile i gcomhair seana- ghutháin. Níl cead ag páistí gnáth geansaí a chaitheamh in ionad an gheansaí scoile ceart. It has come to my attention that some pupils aren't sure what days they should wear their sports clothes. Pupils cannot wear a hoody instead of their school jumper. They will be asked to remove hoodies/scarves in class. Beidh an scoil dúnta ar an 18/02/16 agus 19/02/16 do bhriseadh meán téarma. School will be closed for two days for mid term break, Thursday 18th and Friday 19th February 2016. Féach ar seo! Tá gach páiste sa scoil i ndiaidh laghdú a dhéanamh bruscar a chruthaíonn siad agus athúsáid a dhéanamh. Nílimid ag déanamh an méid céanna bruscaire a dá bharr! Look at this! 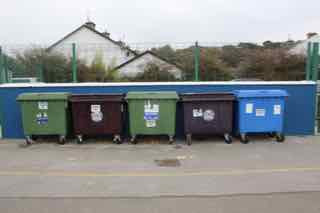 The whole school has managed to reduce the amount of waste we create. 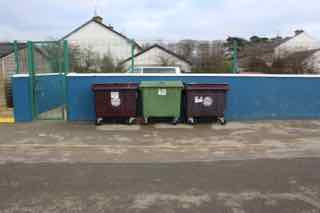 We have gotten rid of two big rubbish bins. 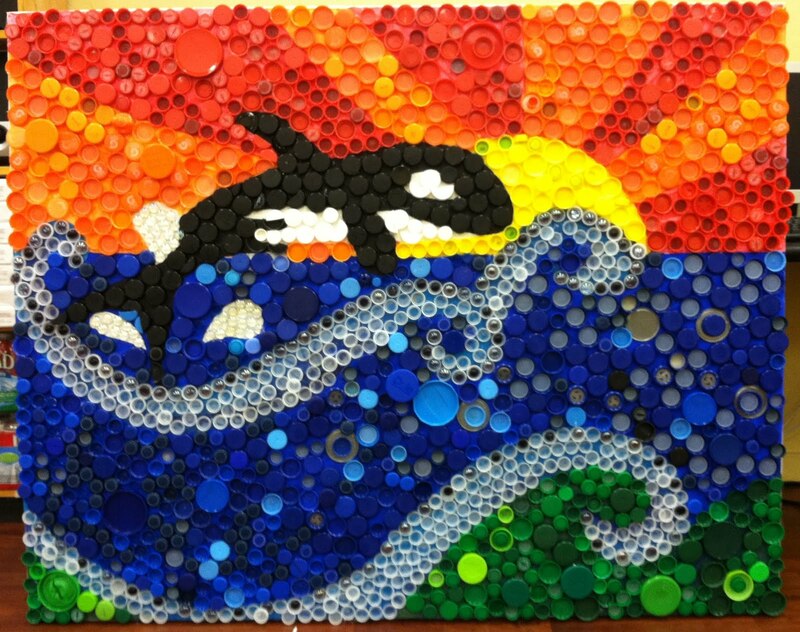 We are reducing, reusing and recycling and also saving money for the school! Well done! Seol isteach bhur sean- gutháin soghluaiste le bhur dtola. Féach thíos le haghaidh a thuilleadh eolas. Gheobhaimid ipad dara láimhe má bhailímid 40 fóin cliste. We are delighted to tell you that our school has registered to support Irish Autism Action and their Mobile phone recycling appeal this school year. By donating the phones, not only is the school gaining much needed technology and equipment, we are also doing our bit for the environment. The mobile phones will be exchanged for badly needed resources for our school like iPads, laptops, Defibrillators, sporting equipment etc. I hope you will consider donating your old phone to our collection. Thanking you in advance for your continued support of our school. A thuistí, Cuireadh ar an eolas mé go raibh cás míoltóga ghruaige i Rang 4. Scrúdaigh gruaig do pháiste anocht agus cuir an leigheas cuí air más gá. Chun na míoltóga gruaige a sheachaint chabhrófar gruaig na gcailíní a chur suas agus banda gruaige leathan a chaitheamh. Go raibh míle maith agaibh! Dear parents, I have been informed of a case of headlice in Fourth Class. Please check your child's hair tonight and treat it if necessary. To avoid the head lice it would help to put up the girls' hair and for them to wear a wide hairband. Thanking you all in advance! It is the second Sunday of Lent. The word Lent is an old English word for Spring – the days ‘lengthening’. It is about making a fresh start. It is about spring-cleaning, getting rid of bad habits. Please read with your child page 56 – 57 of the Thumb Book and do the colouring. The space in front of the Altar at the ‘Do This in Memory’ Mass will have the Ashes of Ash Wednesday, a Trocaire Box and a purple cloth. Please encourage your child to pray aloud the responses at Mass with you. Please pick up the Grapevine after Mass. It explains about First Penance which your child will soon be celebrating. 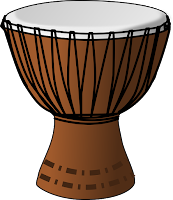 · Monday, 7th March 2016 at 7 p.m., for the Gaelscoil. 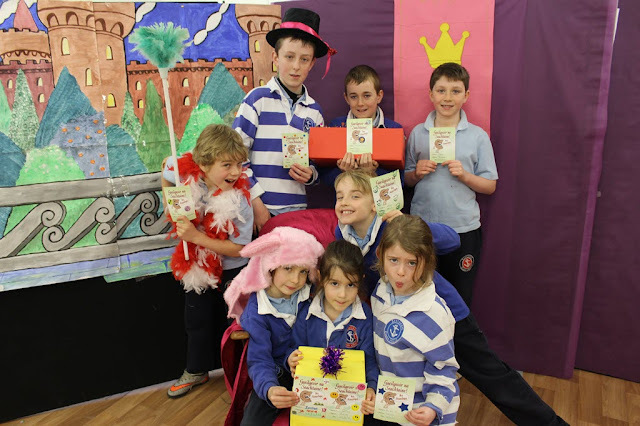 Beidh blitz iománaíochta Rang 4 buachaillí ar siúl ar an Aoine 12ú Feabhra ag fágaint an scoil ag 9.30 agus ar ais ag 1. Tá mé ag lorg tuismitheoir amháin chun tiomáint ann agus ar ais. Tabhair d'ainm chuig Hilda más féidir leat cabhbrú. Rang 4 boys will have a hurling blitz this coming Friday 12th February leaving school at 9.30 and back at 1. If you can drive to the blitz and back I would be really appreciative. If you are available to help please give your name to Hilda. Bhí na héadaí/ rudaí seo a leanas sa bhosca caillte agus faighte. Má's leatsa iad, téir go dtí oifig na scoile chun iad a bhailiú sula dtógfaimid go dtí an siopa dara-láimhe iad. Tomorrow Wednesday, 3rd February, is the Feast of St. Blaise. There will be Blessing of Throats after Masses in the Friary Church (at 7.30am and 10am) and in the Parish Church (at 8.30am). There will also be Blessing of Throats in the Parish Church at 4pm. Traenáil ag tosnú ar an Déardaoin 4/2/16 tar éis scoil ó 2.30 go dtí 3.30. Beidh sé ag leanúint ar aghaidh gach Déardaoin as seo amach tar éis scoile ó 2.30-3.30. Buachaillí agus cailíní! Hurling and camogie training, Thursday the 4/2/16 from 2.30-3.30 after school.